Welcome to Week Four: Surrender. Surrender is a tricky word that most of us, self-included, don't really understand. For me it's an ongoing practice versus a decision that sticks. Every day I have to surrender to something: a relationship, the weather, a change in my body. One of the most important phrases I heard in early recovery was "In this game, you have to surrender to win." I've learned it's true, but goddamn, it is ever hard to let go sometimes. This week, we will be focusing on surrender as it pertains specifically to sadness and grief. To allow these energies to move through us, we must surrender. Grief especially is such a powerful force and it wants to move through us and re-connect us with life. When we stop that or block it, we cut ourselves off from truly healing. All of us have parts of our lives we need to grieve. 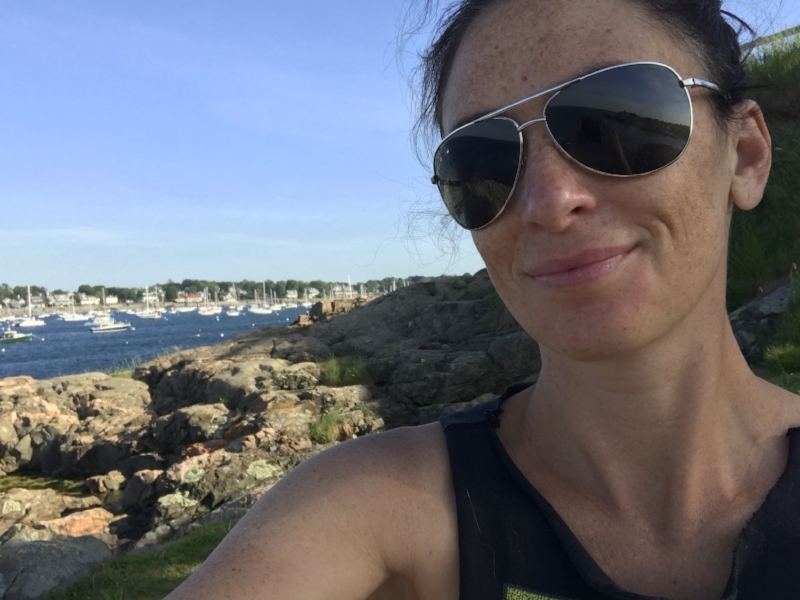 For me, early sobriety was a period of such intense grief I thought I would drown in it. 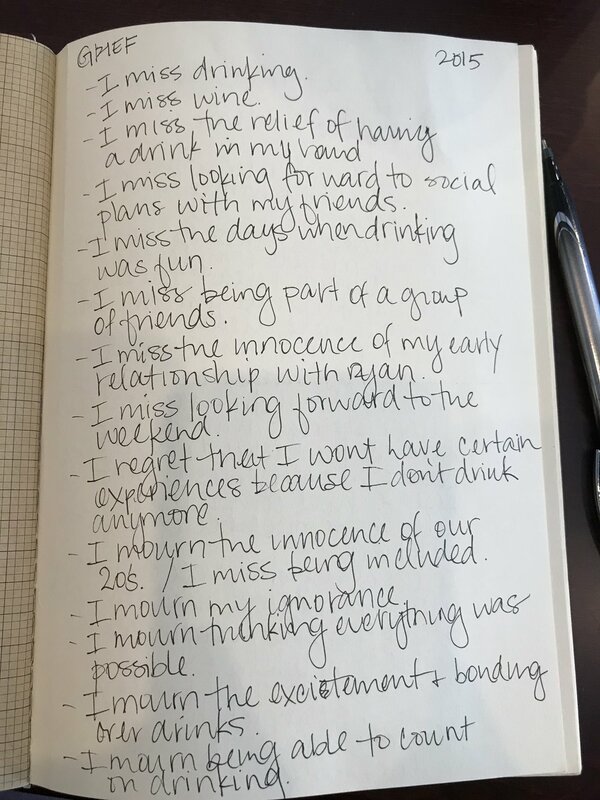 I'd lost my companion in alcohol, but also every relationship, occasion and feeling that I connected to drinking. Once I started to name it and admit everything I missed about it, it started to move through me. And once it started to move through me, I could begin to feel my heart again. From this place, I could begin to both give and receive what I had wanted for so long. We want our heart to be broken open--for life to move through it--and accepting grief as part of our experience will allow that to happen. I am giving you permission to grieve whatever it is you need to grieve. It doesn't need to be acceptable or understandable to others. It doesn't need to be justified or make sense. Allow yourself to engage in the energy of grief, for it to work its hands on you. Listen to "A Love Song" by Garth Stevenson (3:02) while meditating. Focus your breath on your heart area, allowing it to expand and contract with the music. If you don't have Spotify, you can listen to it here on YouTube. The mantra for this week is: I am willing to be here. This means that you're willing to let life be just as it is. You are willing to surrender to the reality of this moment without trying to change it, fix it, hide from it, or otherwise get out of it. As you go through the grief homework, this mantra will be particularly helpful as you uncover places you may want to run away from. Please complete these homework assignments in order. What must be released completely? 1. define what you most need to mourn. There may be many things, but you should choose what needs your attention most; keeping in mind it may not be the thing you want to look at first. 2. Complete the following prompts in your journal. Other words you can use for "mourn" are regret, miss, ache for, grieve. Write as many statements as you need until you feel complete. 3. Using the statements above, write your release statements. 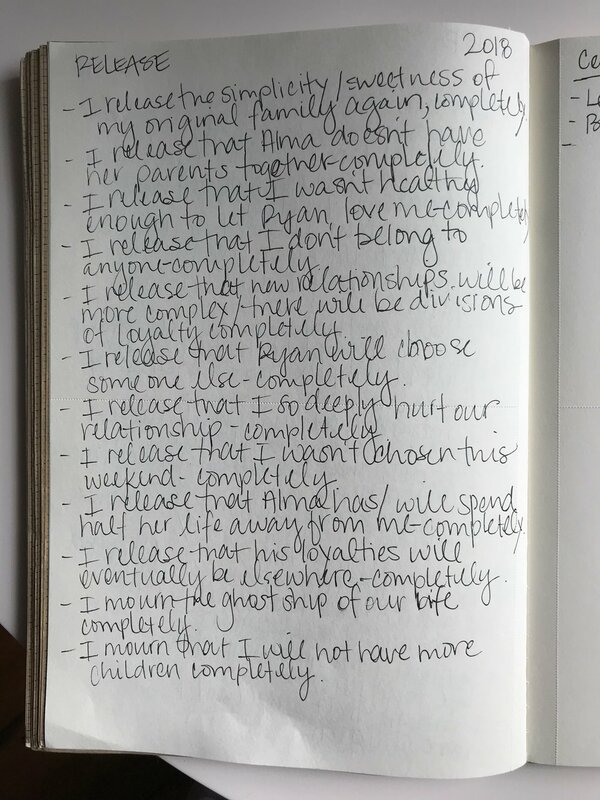 I am willing to release _______ completely. Note: I did the homework for both drinking and current grief to show you examples. You do not need to do two. Set your journal next to you. Lay on the floor (on your yoga mat, if you have one). If you have a bolster, place it under your back in line with your spine, with the base at your lower back. If you do not have a bolster, you can roll up towels or a blanket and put it across your back right where your bra strap goes. Both will serve as heart-opening props. Arms can be outstretched in a "T" or by your side (less intense). Play the two songs in the playlist while in this position. Ritual is a critical part of processing grief. Do not go through the exercises above and then skip this! Ritual allows us to release the grief from our body and to allow the grief to move down through us and into the river of all souls so we, and all of life, can be rejuvenated. Choose a time when you can be fully present for at least thirty minutes. You can invite someone to come with you or do it alone. Write down what you are releasing. You can summarize what you wrote about above, e.g. "I am releasing the ghost ship of my nuclear family with Ryan and Alma." Write down what you are invoking. This is what you are bringing in. For example, "I am invoking a new possibility of family for me and Alma." It can be as simple as "I am invoking peace and love into my heart." Optional: collect items that symbolize what you are grieving. 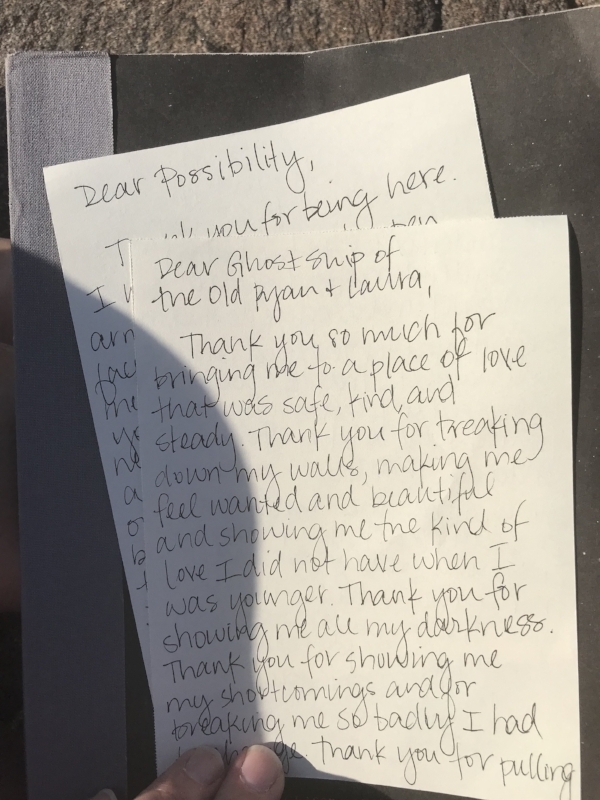 Optional: write a letter to what you are grieving. For example: "Dear Alcohol." Wrap the paper (and items, if you are using them) into a bundle. You can use newspaper, cloth, an old pillow case or t-shirt. Bury or burn the items. Allow yourself to sit for a few moments in silence after the burial/burning. Try to remain as present in your body as possible without dissociating. Remember, grief is your friend and it intends to save your life by connecting you to others and the experience of life. Share any part of your process on the forum. Went to a favorite spot. Oh hey, that’s me, about to do this thing.